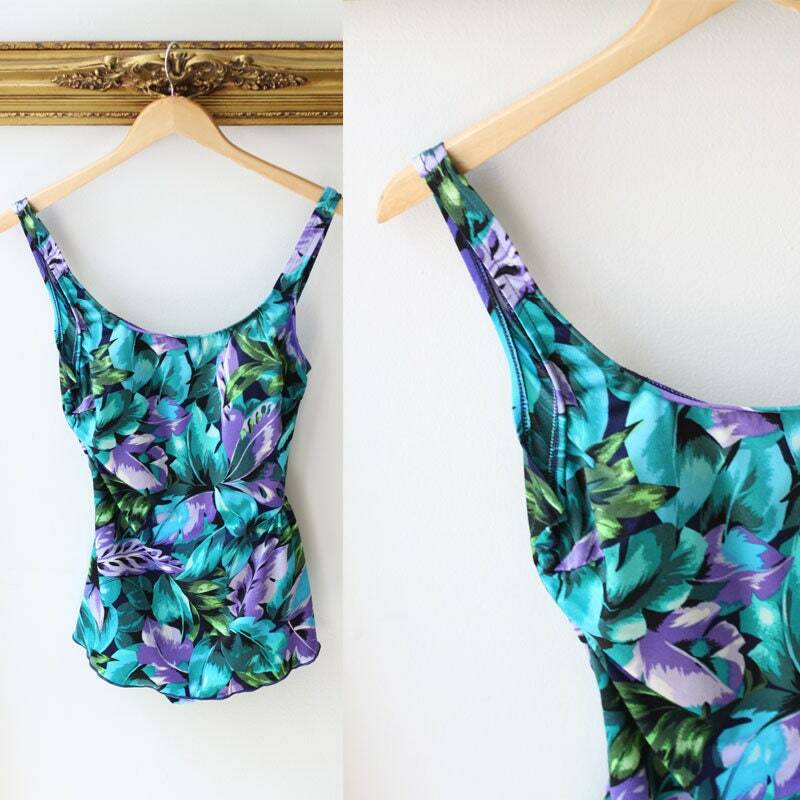 A perfect one piece swim suit from the 1970s. 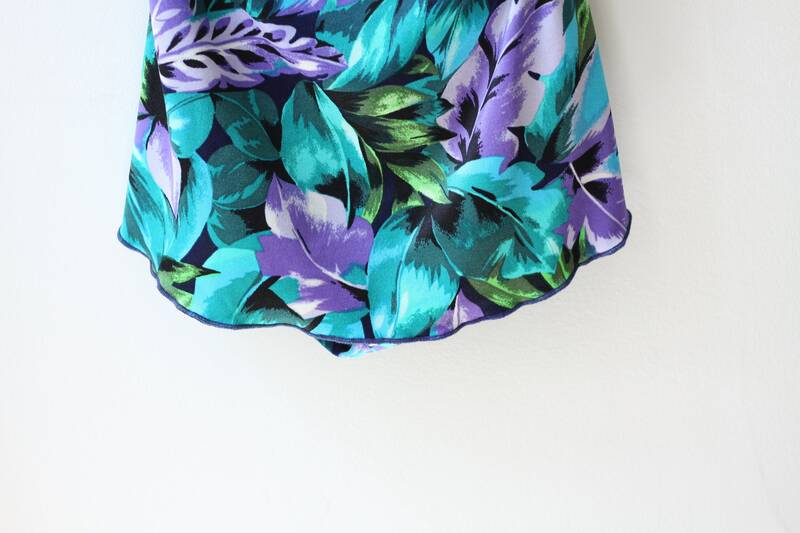 Bright blue, green, and purple large tropical print scattered throughout the swim suit. 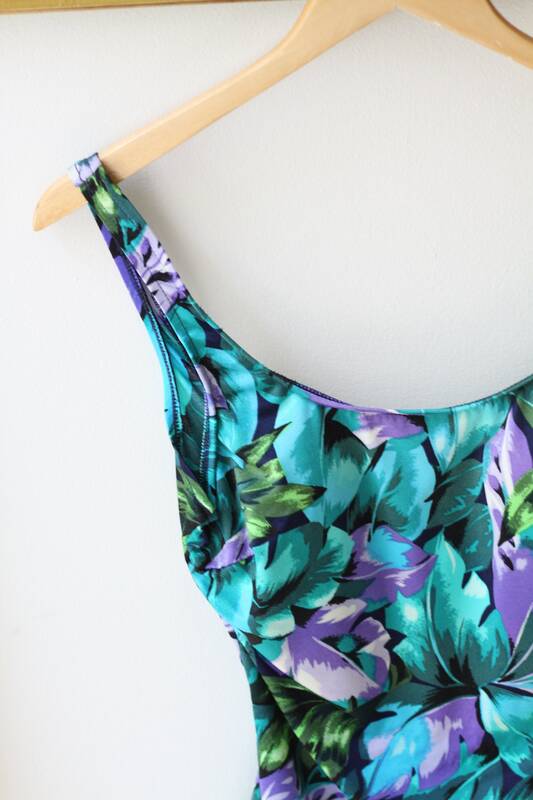 This suit does have a 1960s feel to it with the skirt flap attached at the bottom giving it a shape similar to that era. 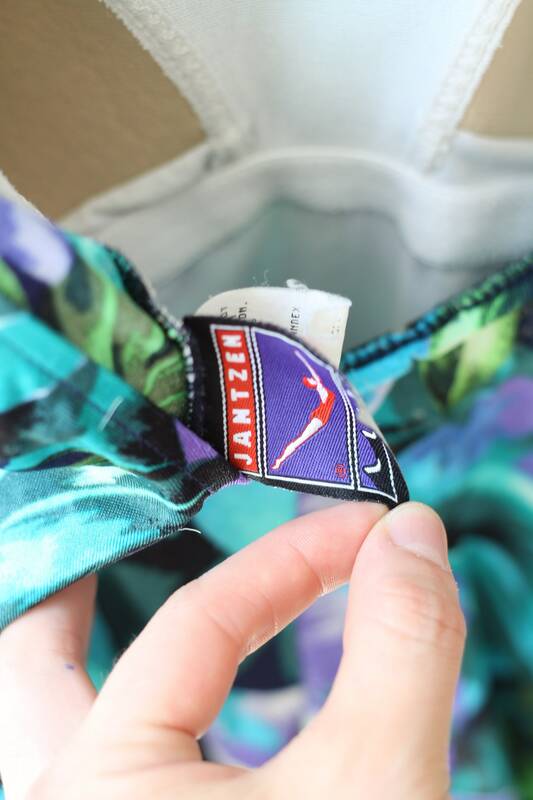 There is a slight soft support lining to the bra but does not create a pokey bust area.